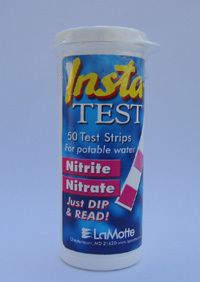 Lamotte Insta test nitrate / nitrite test strips. Pkt of 50. These are designed to test drinking water but they can be used to test a variety of waters for nitrate contamination. 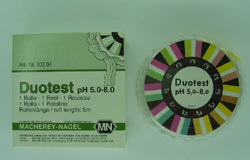 They are alo good for testing nitrate in soils. Checkout Nutrients in soils. 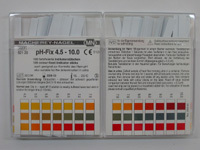 Just dip the test strip then compare it with the colour codes on the container. 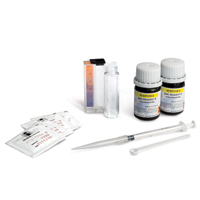 Measures 0, 5, 10 25 and 50 ppm as nitrate-N, and 0, 0.5, 1, 5 and 10 ppm as nitrite-N. To find the result as nitrate just multiply the nitrate-N reading by 4.43.